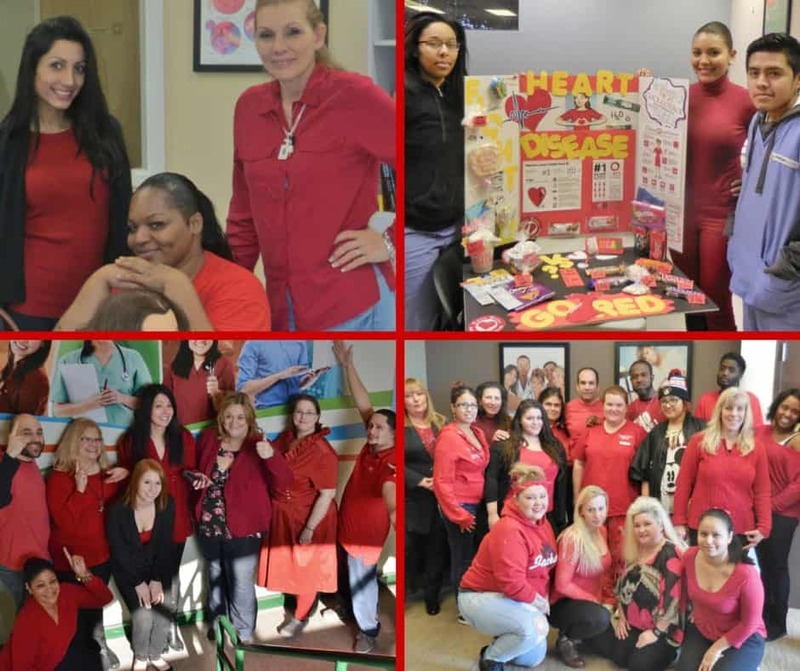 All Locations- On Friday, February 6th, 2015, The American Heart Association’s National Wear Red Day was celebrated all over the country as part of their Go Red for Women campaign. Each of our campuses held different activities to recognize this important day. American Institute participated again this year as a day to support the fight against heart disease in women. West Hartford hosted a Go Red Selfie contest, to encourage participants not on campus that day to wear red and share it on social media to help spread awareness throughout our community. Students in Clifton gave a presentation about heart health to educate their classmates about healthy choices and how to recognize heart disease in women. Toms River and Margate campuses also wore red to show support. National Wear Red Day, celebrated the first Friday each February, is a day to bring attention to the fact that although 1 in 3 women die of heart disease and stroke every year, many women do not recognize their symptoms. Women tend to think that breast cancer is their largest threat, yet heart disease kills 10X more women a year than breast cancer, according to the American Heart Association’s 2012 Statistical Report. The good news is that 80 percent of cardiac events can be prevented with education and lifestyle changes. Through research and education about healthy lifestyle changes, the American Heart Association has made tremendous strides in the fight against heart disease and stroke in women, and death in women has decreased more than 30 percent over the past 10 years! You can learn more at https://www.goredforwomen.org.